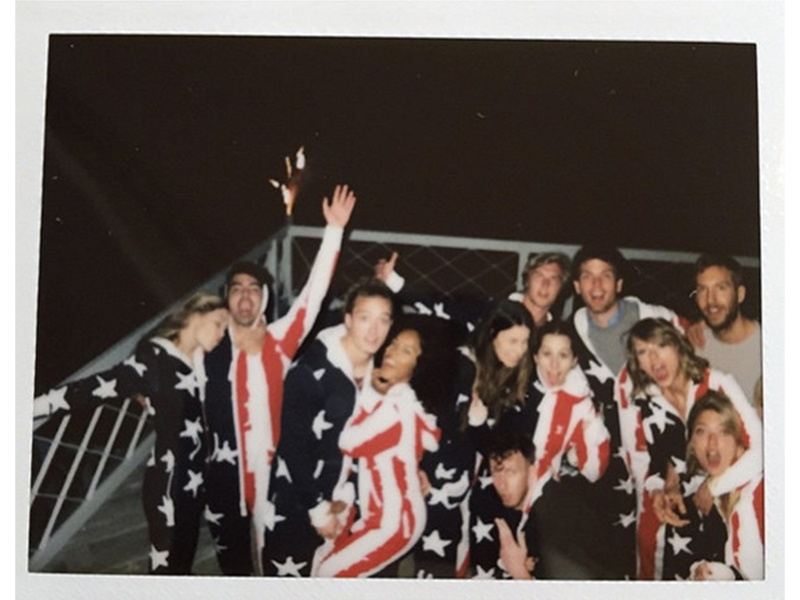 Taylor Swift threw the ultimate fourth of July party over the weekend and put all our party endeavours to shame, so it you’re planning a party soon and want to take it to the next level, take heed. Apart from plying your guests with the obligatory drinks and food (may we suggest this totally delish Halloumi salad) you need to make sure all bases are covered. So without further ado, here’s how to follow in Taylor’s footsteps and elevate your party throwing status. Whether it’s a flamingo cup to hold your tipple of choice (like this one from ASOS), a bobbing mythical unicorn or a larger than life oversized pineapple, meet the summer-party accessory du jour, the pool inflatable. Instagram fodder that adds serious fun points to any occasion, we think you’ll agree. What else would you wear for a 4thof July party than a star spangled onesie? The party planning takeaway here though? Pick a costume theme and run with it. Whilst Taylor’s beachside home in Westerly Rhode Island was the perfect backdrop for the low-key starry affair last weekend, any old garden / patio / living room will do. With a guest list that reads much like a big red carpet event and includes everyone from Karlie Kloss to Ruby Rose and even a pregnant Blake Lively (a who’s who of Hollywood, if you will) there’s no competition here. You’’ll need all your besties for this one. Spirited posing for group photos wouldn’t go a miss either.